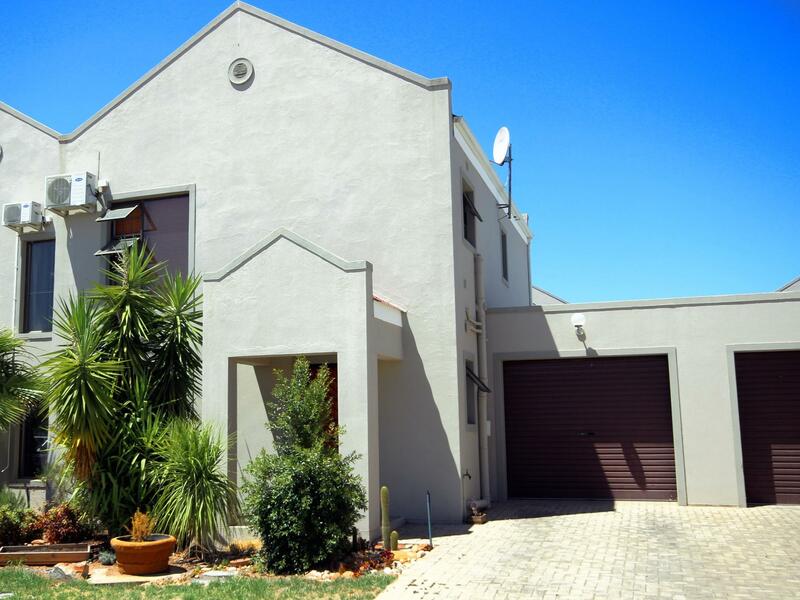 This is a three bedroom, double storey duet in a popular secure complex. The ground floor, features a large open plan kitchen, lounge and living room plus a single garage. The upper level offers three bedrooms and a full bathroom. The back garden is small and easy to maintain. A communal swimming pool is available in the complex. A perfect lock up and go house.